Providing a wide range of branding and a content-based website for leading aesthetic company. AesthetiCare is a private healthcare company who specialise in providing aesthetic professionals with advanced devices, treatments and medigrade skincare products, to help them deliver outstanding, natural results for their clients in skin rejuvenation and problem skin resolution. It’s our job to deliver marketing communications for AesthetiCare’s range of market-facing brands. We’re their go-to resource. Retailing under the brand name of SkinSynergy, Aestheticare require branding and sales literature that encapsulates their premium product. 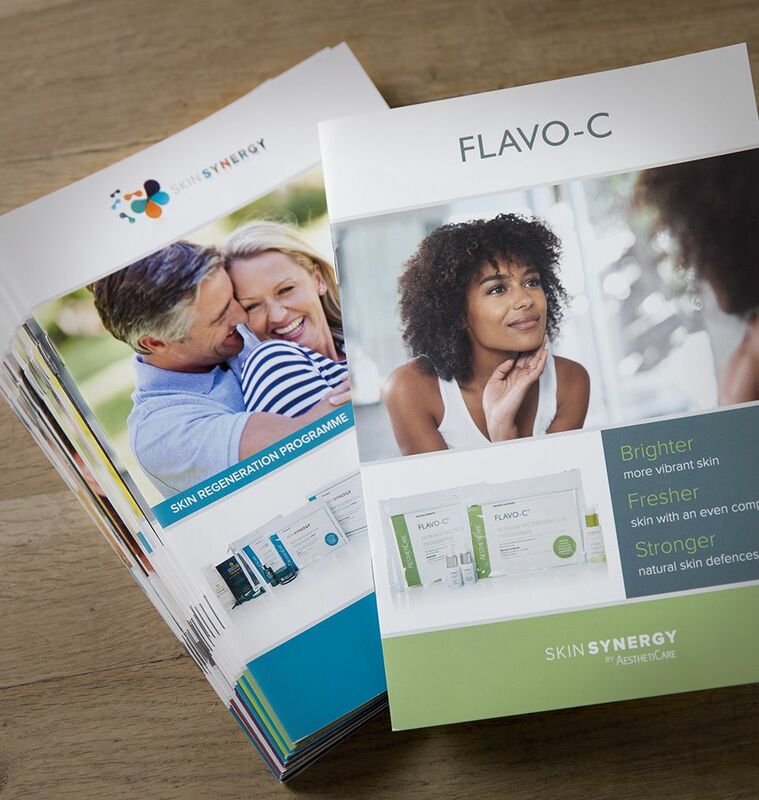 We produced a wide range of marketing communications for the SkinSynergy brand. Starting with a website, we created a content-led site, with clean, fresh branding which promotes a professional image by reflecting a ‘clinical’ feel. It’s responsive, too, making it easy for aesthetic professionals to navigate on any device. To enable Aestheticare to sell the SkinSynergy range to aesthetic professionals, we developed a brand story around their product, promoting the journey that customers go on to achieve rejuvenated skin. This concept-driven promotional material forms the marketing message across the Aestheticare website, including product branding, trade advertising, brochures, point-of-sale, posters, leaflets and banners. We even create stand designs for their various exhibitions. We provide the full marketing solution, which is why we’re Aestheticare’s continued brand agency of choice. It’s our job to deliver marketing communications for AesthetiCare’s range of market-facing brands. We provide the full marketing solution, which is why we’re Aestheticare’s continued brand agency of choice.